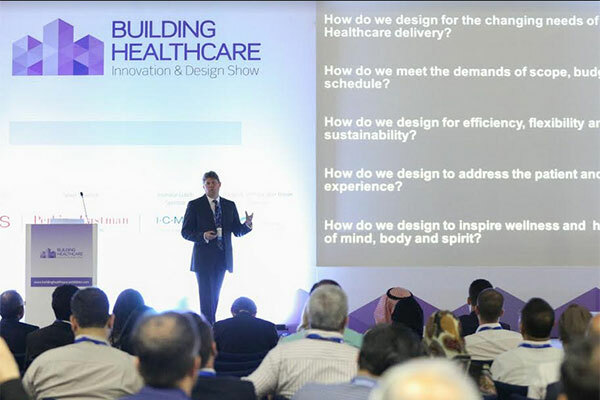 Close to 4,000 delegates are expected to attend the 2018 Building Healthcare Innovation and Show, the Mena region’s largest for the healthcare infrastructure and management industry, which kicks off today (October 2) at the Dubai World Trade Centre. Special focus sessions on PPP and regional healthcare infrastructure projects will home in on the current state of the healthcare market. Information will be provided on both current and upcoming projects, investment opportunities and gaps in the market to give you the knowledge you need to expand your business throughout the Mena region. The PPP session will take a more in-depth look at the intricacies and nuances of PPP in the GCC healthcare build market. “Over the last decade, GCC markets have witnessed an exciting stage of growth and development in the healthcare sector, with increasing emphasis from our governments to make international standards of care locally available and position the region as a leading global player for healthcare delivery. This growth is also fuelled by the need to tackle the rapid increase of non-communicable diseases which afflicts the region at large,” said Dr Azad Moopen, founder chairman and managing director, Aster DM Healthcare, who is among the featured speakers at the event, along with experts from Saudi Arabia, Kuwait, Oman and international healthcare specialists and stakeholders from the UK, USA, Portugal and others. “The need is for a sustainable healthcare delivery model that provides quality care for all at affordable costs. As an integrated healthcare service provider, we at Aster DM Healthcare, are at an advantage of having introduced a successful healthcare delivery model 30 years ago, which identifies the need of the local population and introduces innovative solutions to meet those needs. We are on the cusp of a technological transformation that will improve access to quality care and modern tools like telemedicine, online prescriptions, mobile monitoring apps will continue to enhance the doctor-patient interaction,” he added.